meaning that the IR of anything that does compression or distortion convolved with a certain sound will _not_ sound like that sound being played through that system. Things that do delay or reverb or filtering/eqing otoh will work just fine. It's all in the maths, look it up in case of doubt. i really like the idea behind this company and they get good points from me. 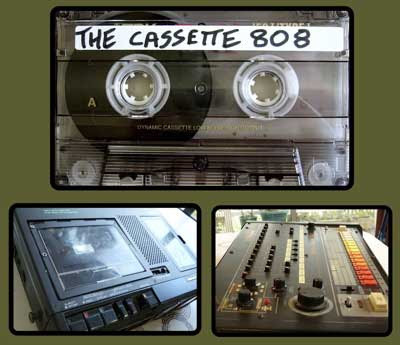 i downloaded the tape 808 for my mpc1000 to mangle with jj's os2. however, my question is this: when they recorded onto tape, or apply tape saturation, etc, they are all hit by the exact same additional harmonics, that nice warm pleasant tape sound. however, when the end user pitches these sounds differently, doesn't that ruin the context? doubtlessly this problem can be skipped w/ mindful eqing but does anyone else see a problem here? on the other hand, if these samples are being used at the same tune as given, the situation is perfect and i'm sure they work wonderfully. always nice to see music thing. pitching 808 samples up or down will ruin the tape saturation effect, for sure. However, 808 samples aren't really tuned to begin with... so the only reason you would pitch your 808 sample differently is to change the sound. Really does not sound any better than my Boss 670. As for pitching the tape808 samples. I have done so and the results sound fine to me... The additional harmonics shouldn't lose their context unless you pitch the sample drastically. Anyway, the 808 BD sounds best at it's original pitch anyway... If I recall the 808 BD is mostly 49hz ... That's where the boom is!! !